Constructed in 1948, the Agra Consolidated School was built in response to county school consolidation and to replace a previous building that was destroyed by fire. Designed by the firm Glover-Newcomb of Topeka, Milligan Construction Company of Manhattan constructed the one- and two-story brick building that is an example of the Modern Movement with Art Deco style influences. 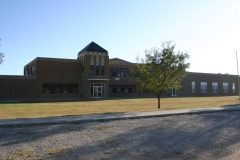 The school was nominated as part of the "Historic Public Schools of Kansas" multiple property nomination for its association with local education history act and for its architecture. Agra Lake and Park was built from 1934 to 1938 by the Civilian Conservation Corps and the Works Progress Administration. The 35-acre site is nominated for its association with the New Deal-era government work programs of the 1930s. 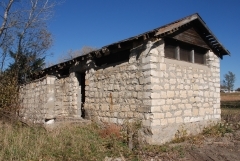 In addition to an earthen dam and spillway, the current site includes two limestone entrance markers, two limestone shelter houses, a limestone bathhouse, and two limestone privies. 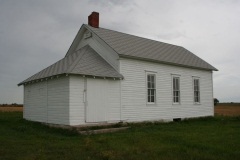 Hoff School is located northeast of Kirwin in rural Phillips County. 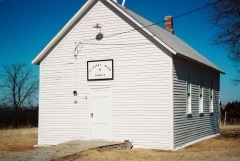 The one-room, wood-frame schoolhouse was built by local carpenter Fred Agard in 1899 when the county's population peaked at just over 14,000 residents. The building served area students until consolidation closed it in 1946. Like many one-room schools, it features a front-entry addition and a front-facing gable roof with three double-hung windows on each of the north and south sides. 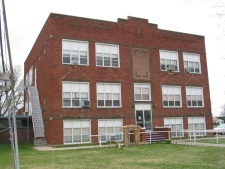 The building was nominated as part of the "Historic Public Schools of Kansas" multiple property listing for its association with local education and its architecture. 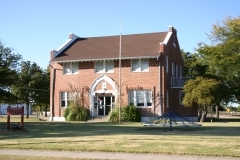 Located at the center of the public square, the Kirwin City Hall is a two-story, red brick civic building constructed in1915-1916 in the Collegiate Gothic style with Craftsman-style influences. It was designed by the architectural firm E.T. Archer and Associates. Kirwin City Hall was utilized in many civic capacities including the township's library and city jail. It was nominated for its association with the growth and development of Kirwin and for its architectural significance. 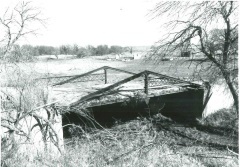 Through the Works Progress Administration (WPA), Kansas realized many new public buildings and recreational facilities, including 58 community buildings like the one in Phillipsburg. The construction of the Phillipsburg Community Building in 1936 and 1937 employed about 150 area residents during the two-year project. Local newspapers promoted this as one of the largest community buildings in northwest Kansas, and it would consist of a large auditorium with bleachers, stage, dressing room, toilet and shower facilities, a library, and city hall office. Local architect Owassa J. Jennings worked on the project, Dr. 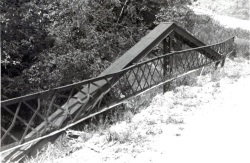 Guy Innes served as the project superintendent, and H. C. Townsend was the foreman. 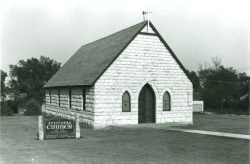 The Phillipsburg Community Building was built of limestone from a local quarry using local labor. It exhibits the characteristics of these craftsmen and features a vernacular Collegiate Gothic architectural style. The building was nominated as part of the "New Deal-Era Resources of Kansas" Multiple Property Submission for its association with the New Deal.